Rev. Rose Eddington Rev. Edington has a BA from Alderson-Broaddus College (1969) with a major in Humanities with an emphasis on English Literature; a Master’s of Divinity in Theology from Colgate-Rochester Divinity School (1973), Rochester, NY; and a Doctor in Ministry in Feminist Liberation Theology from Episcopal Divinity School (1998), Cambridge, MA. She was ordained to the American Baptist ministry in 1975, but found herself struggling with traditional Christian theology and burgeoning feminist theory and theology. She served as Director of the Stamford CT Area Sexual Abuse Crisis Center and began to explore UUism, becoming Director of Religious Education at the UU Society of Stamford. She transferred her ordination to Unitarian Universalism in 1984 and served a variety of congregations, initially in the New York-New England area, and for the past 12 years in Charleston WV. 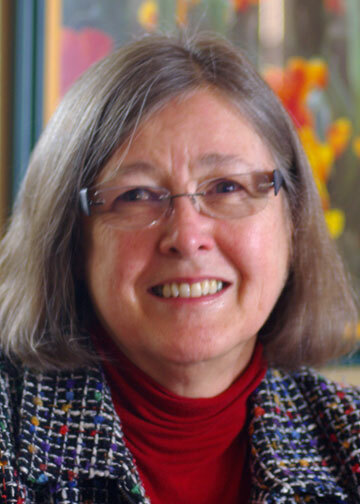 As of January 31, 2014, she retired as co-minister of the UU Congregation in Charleston WV. She is married to UU minister and SI 2016 chaplain Mel Hoover. To continue their commitment to justice and activism (particularly on environmental and antiracism issues), they have co-founded MelRose Ministries for Positive Transformative Change. Also, Rose is the immediate past Chair of the Board for the Ohio Valley Environmental Coalition. Rev. Scott Rudolph has served the UU Church of the North Hills since 2011. His ministry seeks to deeply engage joy, compassion, and spiritual growth. He states, “Joy celebrates the wonder and beauty of life while compassion meets suffering with companionship and injustice with opposition. Spiritual growth explores our connections with the Sacred, grounds us in our values, and moves us to put our faith into action.” Scott’s ministry and life are guided by gratitude, awe, and love. Born in Chicago, Scott was raised in Bowling Green, Kentucky among roots music and beautiful landscapes. He began his spiritual exploration in the Presbyterian Church, which provided experiences he greatly values and still draws upon. He attended Hanover College in Indiana studying English and Philosophy. Scott previously worked with Colorado State University as the Assistant Director for Corporate and Foundation Relations and as a Case Manager for Big Brothers Big Sisters of Kentuckiana. Scott received a Master of Divinity degree from Meadville Lombard Theological School, a Unitarian Universalist seminary. During seminary, he worked as a hospital chaplain at Christ Medical Center in Chicago, Illinois. He served East Shore Unitarian Church in Bellevue, Washington for a year as their intern minister. 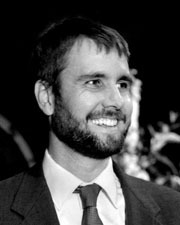 Scott has led young adult programs at Foothills Unitarian Church in Fort Collins, Colorado and at First Unitarian of Chicago. Scott shares his life with his wife Rebecca, their two children Simon and Tessa, and a mop-like white dog named Hobbuddy. Outside of the church walls, Scott enjoys general wandering, either in the woods or in a city, dance and music, and cooking with the radio on. For 30 years, Christie Anderson’s professional career was devoted to the development of affordable rental housing for Portage County’s low-income population. Now retired from her career, Christie works part-time as the manager of a food program serving Kent’s vulnerable population. While appreciative of her Protestant upbringing, Christie has embraced the liberal religious perspective of Unitarian Universalism since 2000. 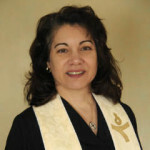 Christie earned the title of Commissioned Lay Leader in October 2008 following her completion of a 2 year educational program of the UUA’s Ohio-Meadville District. Upon graduating from The New Seminary of Interfaith Studies in New York City in 2011, Christie was ordained as an Interfaith Minister. Christie is active in the worship life of the Kent UU church and assists the settled minister with pastoral services. 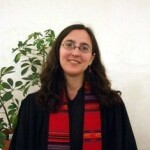 Melissa Carvill-Ziemer has served as the minister of the Kent UU Church since September, 2005. Melissa did not grow up in a particularly religious home. She became a spiritual seeker in college and that is when she became acquainted, and fell in love, with Unitarian Universalism. Melissa graduated from Smith College with a B.A. in Women’s Studies in 1995 and earned her M.Div. from Meadville Lombard Theological School in 2005. Before entering the ministry Melissa worked as a sexual assault and domestic violence counselor and educator and as a pre-school teacher. She also waited her share of tables and worked on a couple of organic farms. Melissa loves outdoor adventure, especially hiking and canoeing. She lives in Kent with her partner, Evin Carvill-Ziemer (also a Unitarian Universalist minister), their children Rylan and Owen, and their dogs, Migo and Zoey.